sponsored by the Friends of Dinosaur Park and Arboretum, Inc.
Later this Spring, the new boardwalk will open. Surrounding our Exhibit Center are more than two miles of nature trails and the Dinosaur State Park Arboretum, containing more than 250 species and cultivars of conifers, as well as katsuras, ginkgoes, magnolias and other living representatives of plant families which appeared in the Age of Dinosaurs. Our Museum presents a bird’s-eye view of the preserved Mesozoic floodplain covered with tracks, dioramas of Triassic and Jurassic environments, collections of fossils, and interactive exhibits. 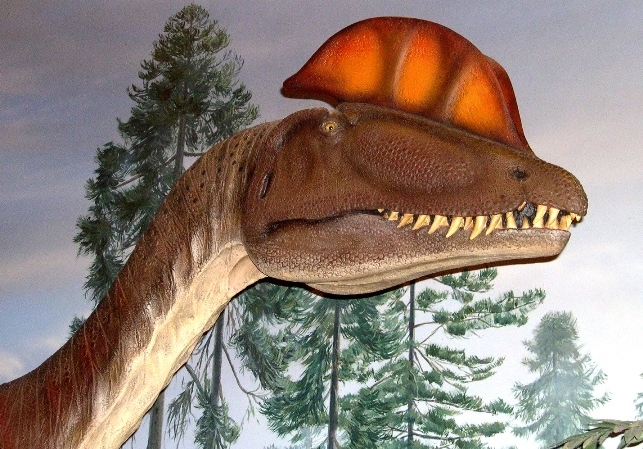 Dilophosaurus is the dinosaur believed to have made the tracks that are on display in the Exhibit Center. The first large carnivorous dinosaurs appeared in the early Jurassic. The Eubrontes tracks, which are the most abundant large fossil track found in the central valley of Connecticut, are attributed to an 18 to 20-foot long predator. This ceratosaur quite likely was related to Dilophosaurus. More than two miles of trails at Dinosaur State Park cover a variety of habitats, including a red maple swamp and shrub swamp and meadows. The forest area has sugar maple, birch, hickory, oak and beech trees. A traprock ridge reveals broken pieces of basaltic rock that once flowed as hot lava covering the habitat of Connecticut's dinosaurs. The trails are open daily, year-round, weather conditions permitting. 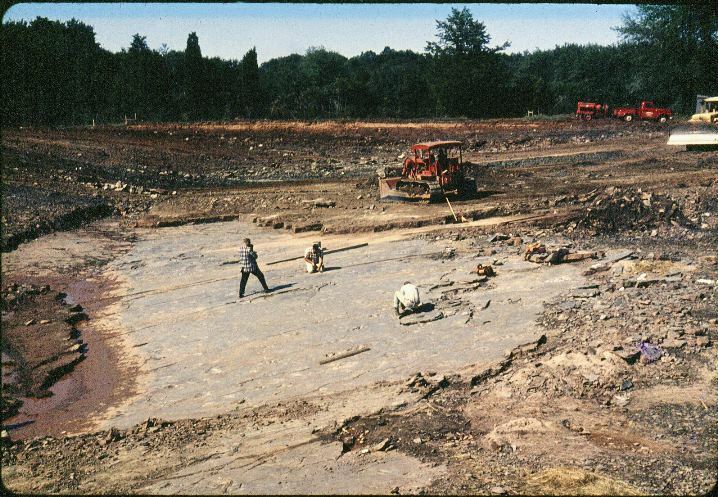 The 50th anniversary of the discovery of tracks in Rocky Hill, Connecticut, will be celebrated throughout 2016. Special events and activities have been planned. Dinosaur State Park officially opened in 1968, two years after 2,000 dinosaur tracks were accidentally uncovered during excavation for a new state building. Five hundred of the tracks are now enclosed within the Exhibit Center's geodesic dome.The remaining 1,500 are buried for preservation. The trackway in Rocky Hill, CT has been designated a registered Natural Landmark by the U. S. Department of Interior. This historic site was preserved for future generations because of the dedication and foresight of many volunteers, educators, and concerned citizens. The Friends of Dinosaur Park and Arboretum, Inc., a non-profit organization, not funded by the state government, exists to promote and ensure the perpetuity of this significant, historic and educational resource and its related exhibits. 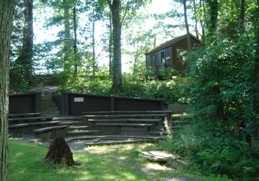 Dinosaur State Park is part of the Bureau of Outdoor Recreation, Connecticut Department of Energy and Environmental Protection.